Alarmed by Prime Minister Netanyahu's repeated statements of intent to annex Israeli West Bank settlements if elected for another term, Americans for Peace Now calls on all stakeholders to unequivocally reject Netanyahu's pledge and underscore its disastrous repercussions. Americans for Peace Now (APN) joins its Israeli sister organization Shalom Achshav (Peace Now) in asserting that by vowing to annex the settlements, Netanyahu is threatening Israel's future as a democracy and a Jewish state. West Bank annexation will severely threaten Israel's national security. It is also a detrimental to US national security interests. 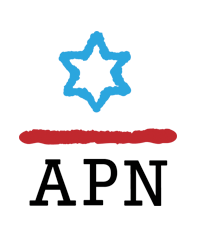 APN calls on fellow American Jewish organizations to repudiate Netanyahu's push for annexation. Given that polling consistently indicates that a large majority of American Jews favor a two-state solution, to which annexation of even parts of the West Bank would deal a severe blow, these organizations have a responsibility to speak out forcefully. After years of undermining the two-state solution while still paying lip service to it, Netanyahu has now stated clearly that a Palestinian state "won't happen" as long as he is prime minister. 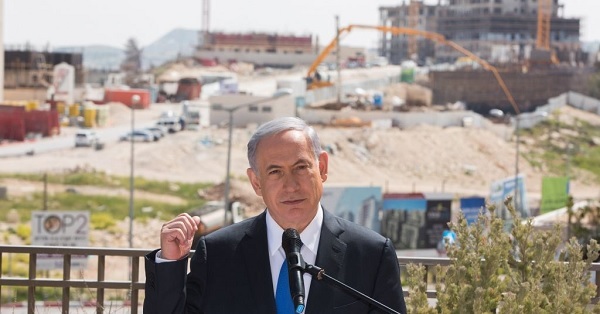 In several interviews over the weekend, clearly pandering to Israeli right-wing voters as his Likud party flounders in the polls prior to tomorrow's election, Netanyahu pledged to annex all of Israel's settlements in the West Bank. In a televised interview published today in the national religious news site Srugim, Netanyahu said: "For the past several months, I have been telling Trump's people, I'm telling them, 'folks, I intend, in the next term, God willing, if I am elected, I intend to extend sovereignty not only to the blocs – if you are saying blocs, it means that you are forsaking 80 to 90,000 people, which is Lapid and Gantz's plan, to evacuate them to uproot them – I don't forsake them. I am extending Israeli sovereignty to all the settlements, all of them, bar none." He added, "I prefer to do it with American approval." Clearly, Trump's Israel policy (including his recognition last week of Israeli annexation of the Golan Heights) has emboldened Netanyahu and other right-wing leaders to push for annexation. It is incumbent upon all American politicians who care about Israel, Israeli-Palestinian peace, and the US-Israel relationship to condemn Netanyahu's course. For APN's analysis on the potential consequences of annexation, see here.